Robin Karpan, Branimir Gjetvaj, and May Haga, three of Saskatoon’s leading nature photographers, will discuss their work and the lessons they have learned in a panel presentation on Nature Photography Exposed. The evening seminar is hosted by the Saskatoon Nature Society and will begin at 7:30 pm on Thursday, December 8, in Room 106, Biology Building, University of Saskatchewan. 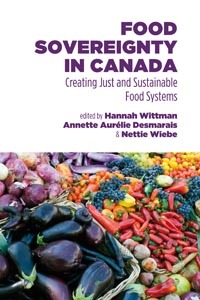 Attend the launch of Food Sovereignty in Canada: Creating Just and Sustainable Food Systems on Friday, December 9, from 7:30 to 10 pm at Caffe Sola. Saskatoon children are invited to visit the Meewasin Valley Centre on Sunday, December 11 from 12 to 4 pm to make a unique ornament from recycled materials. Call 665-6888 to pre-register. Program cost is $2.00. Shelley Pruss, Parks Canada, will offer a technical presentation on Swift Fox Recovery in Canada from 12:10 to 12:50 pm on Wednesday, December 14 in the Royal Saskatchewan Museum Auditorium, Regina. Jared B. Clarke, Wascana Centre Authority, will offer a public presentation on Canada Goose Management in Wascana Centre from 7 to 8 pm on Wednesday, December 14 in the Royal Saskatchewan Museum Auditorium. Christmas bird counts have been a holiday tradition for over 100 years. The Saskatoon Nature Society invites everyone to participate, especially beginners. Dress up warmly and head outside to find out how many birds are overwintering in our area this winter. Christmas bird counts will be held on Saturday, December 17 at Clark’s Crossing, on Monday, December 26 in Saskatoon, and on Monday, January 2 at Pike Lake. Other regional counts are being planned. Call 242-5383 for additional information. 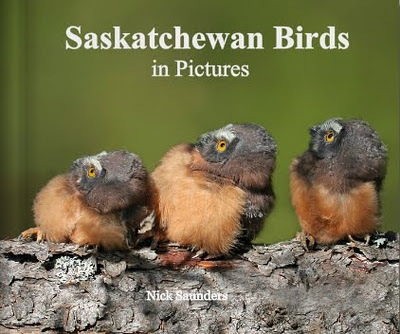 Nick Saunders, author of the SaskBirder blog, has launched his first book. Saskatchewan Birds in Pictures includes photographs of nearly 120 Saskatchewan birds. You can order your copy online. Small Change Fund is accepting proposals for projects which contribute towards the protection of Canada’s boreal forests, with a focus on First Nations, Inuit, and Metis communities across the boreal region. They accept proposals from registered grassroots charities or registered Aboriginal bands in Canada. Transition Saskatoon is now on Facebook and offering a wide range of workshops and events. The Black-Tailed Prairie Dog, found in and around Grasslands National Park, is now considered a threatened species.